Music tracking and mixing has commenced for the annual SOCAPA sessions at Dubway. Several engineers will be tracking and mixing sessions for the young people enrolled in the program to foster their creativity in music. 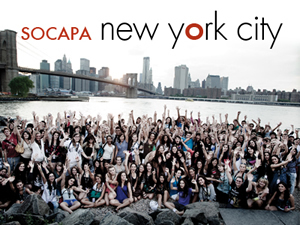 SOCAPA , The School of Creative and Performing Arts, was founded by a small collective of New York artists in Greenwich Village in 2001. It has quickly become one of the premier visual and performing arts programs for young people. This combined effort allows students to have a fulfilling summer experience.